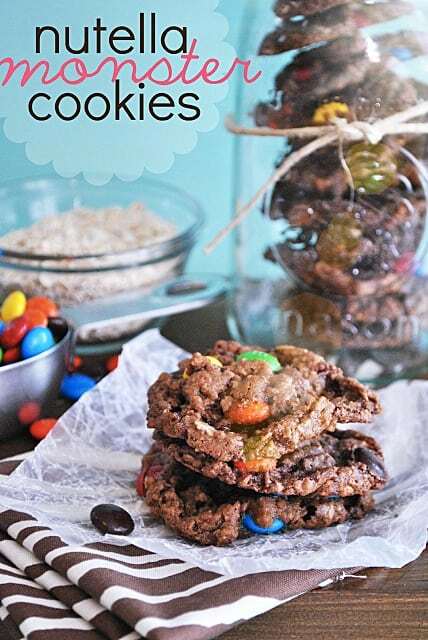 If I could sum up this blog in 2012 with one dessert, it would be Monster Cookies. I posted the recipe for the classic cookie in December last year– it’s our family’s favorite Christmas time cookie. It wasn’t a big deal. Most people have the recipe. Mostly I just wanted it on my blog for easy personal access. The Monster Cookie Dough Dip happened in January. It was sort of an accident. I almost didn’t post it (the pictures are hideous). And that’s when the Monster Cookie thing got out of control. People liked the dip. A lot. And I was addicted to seeing people say they liked the dip. So I made Red Velvet Monster Cookies. And Monster Cookie Dough Mousse Pie. And Monster Cookie Dough Truffles. And Monster Cookie Dough Cupcakes. And Monster Cookie Magic Bars. It’s been quite the peanut butter and M&M sugar rush around here. I’ve been dying to try Monster Cookies with Nutella, but I felt like the Crazy Monster Cookie Lady. So I’ve been trying to take a break. Which was, clearly, some kind of a joke. And, I must say, it’s my favorite so far. I’ll be hard pressed to ever go back to peanut butter again! Bold words, I know… but I tell no lies here. Using the paddle attachment in a stand mixer, combine all ingredients except for the M&Ms and the chocolate chips. Add in the chocolate chips and M&Ms using the lowest speed on the mixer. 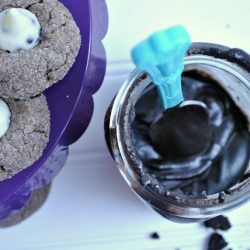 Scoop by tablespoons onto parchment lined baking sheets. Bake at 350 for 7 minutes. Let set and cool on the baking sheet. Note the adjusted temperature and time from the classic monster cookie recipe. My first batch burned pretty easily– but after the adjustments, they were just fine. I thought it helped to have the dough chilled a little bit. 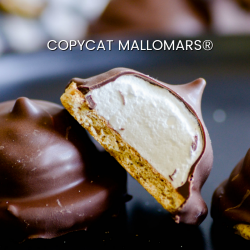 You can save this recipe to your own Recipe Box via ZipList. And they’ll take the ingredients from the recipe and generate a shopping list just for you accessible on your computer or mobile device! I use mine all the time. If you aren’t already using this really awesome recipe tool, take a minute to sign up at ZipList.com (it’s free)! I’m not sure what I did wrong but my cookies are falling apart. Help! Oh no! The dough is falling apart or post-baking? Did you let them cool ALL the way on the baking sheet before you tried to move them? 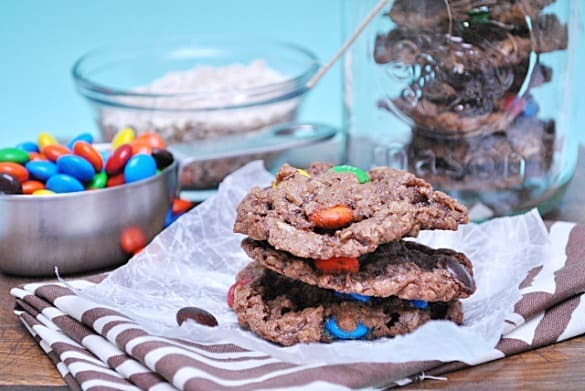 How many cookies does this recipe of nutella monster cookies make? The nutella is replacing the peanut butter, if im correct. Maybe the difference in consistency with the two ingredients causes the need for these cookies to cool completely on the baking sheet before moving them. I agree with having a chilled dough kept in the fridge between baking batches. Having 2 baking sheets to use would allow you to bake a batch while cooling the other batch on a baking sheet. Also, what if I were to use part peanut butter and part nutella..how would that work out?